Running machine learning programs entirely client-side in the browser unlocks new opportunities, like interactive ML! 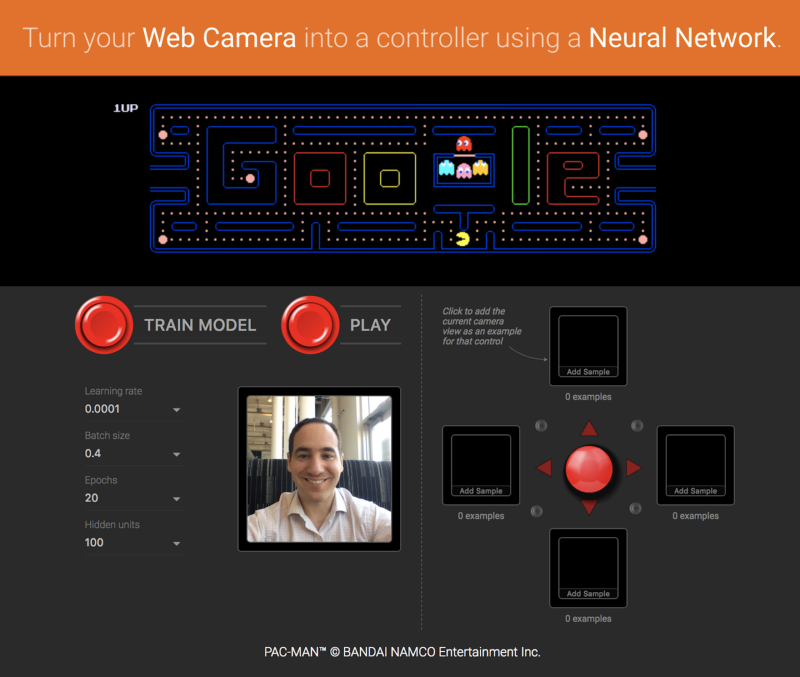 If you’re watching the livestream for the TensorFlow Developer Summit, during the TensorFlow.js talk you’ll find a demo where @dsmilkov and @nsthorat train a model to control a PAC-MAN game using computer vision and a webcam, entirely in the browser. You can try it out yourself, too, with the link below — and find the source in the examples folder. 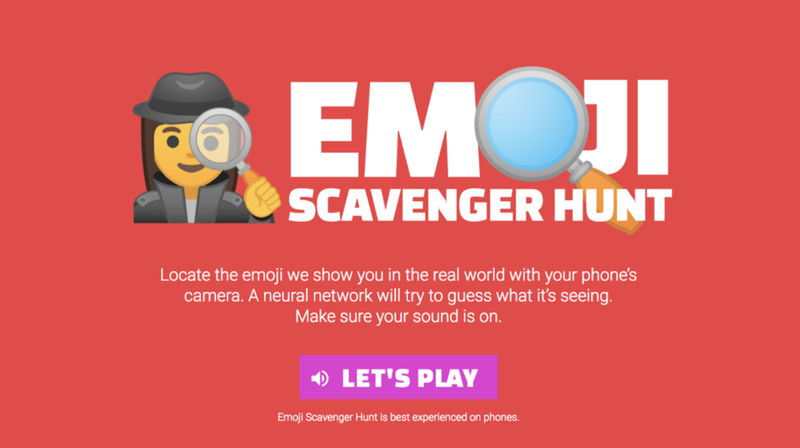 If you’d like to try another game, give the Emoji Scavenger Hunt a whirl — this time, from a browser on your mobile phone. ML running in the browser means that from a user’s perspective, there’s no need to install any libraries or drivers. Just open a webpage, and your program is ready to run. In addition, it’s ready to run with GPU acceleration. 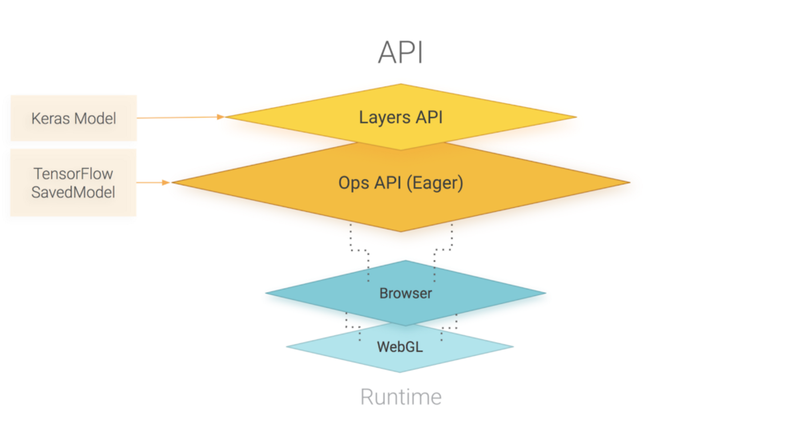 TensorFlow.js automatically supports WebGL, and will accelerate your code behind the scenes when a GPU is available. Users may also open your webpage from a mobile device, in which case your model can take advantage of sensor data, say from a gyroscope or accelerometer. Finally, all data stays on the client, making TensorFlow.js useful for low-latency inference, as well as for privacy preserving applications. What can you do with TensorFlow.js? If you’re developing with TensorFlow.js, here are three workflows you can consider. You can import an existing, pre-trained model for inference. If you have an existing TensorFlow or Kerasmodel you’ve previously trained offline, you can convert into TensorFlow.js format, and load it into the browser for inference. You can re-train an imported model. As in the Pac-Man demo above, you can use transfer learning to augment an existing model trained offline using a small amount of data collected in the browser using a technique called Image Retraining. This is one way to train an accurate model quickly, using only a small amount of data. TensorFlow.js also includes a low-level API (previously deeplearn.js) and support for Eager execution. You can learn more about these by watching the talk at the TensorFlow Developer Summit. How does TensorFlow.js relate to deeplearn.js? Where’s the best place to learn more? To learn more about TensorFlow.js, visit the project homepage, check out the tutorials, and try the examples. You can also watch the talk from the 2018 TensorFlow Developer Summit, and follow TensorFlow on Twitter. Thanks for reading, and we’re excited to see what you’ll create with TensorFlow.js! If you like, you can follow @dsmilkov, @nsthorat, and @sqcaifrom the TensorFlow.js team on Twitter for updates. This entry was posted in AI 人工智慧, TensorFlow, 技術交流 and tagged AI, AI人工智慧, TensorFlow.js, 機器學習.